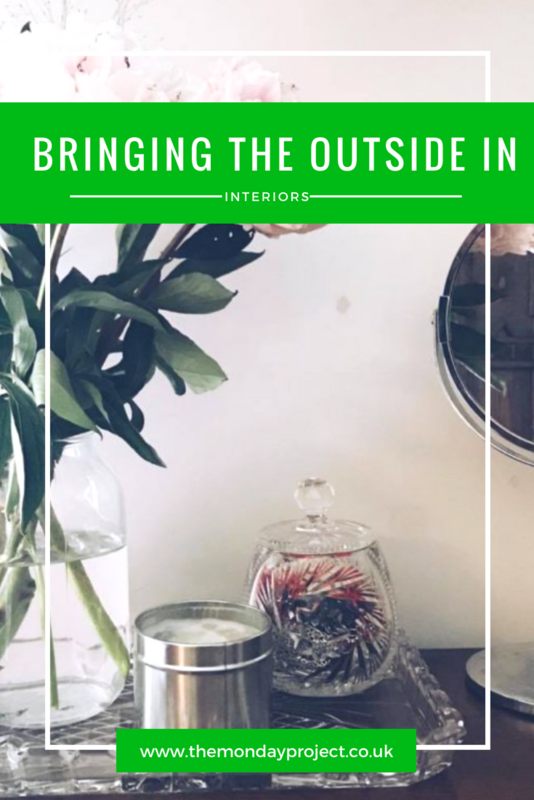 Bringing the outside in is easily one of my favourite interior trends. Since moving out of the family home for the most part of the year into my own student flat with lovely flatmates, interiors are something I have become to get more and more acquainted with, albeit if it is in a rented flat. Obviously as I rent I can’t go too wild and start painting walls and as I live with other people, I also can’t go too wild in every single room of the flat. My bedroom however has become a happy little haven. During my second year of university I became a smidge obsessed with buying flowers and plants and making my room as “me” as possible. 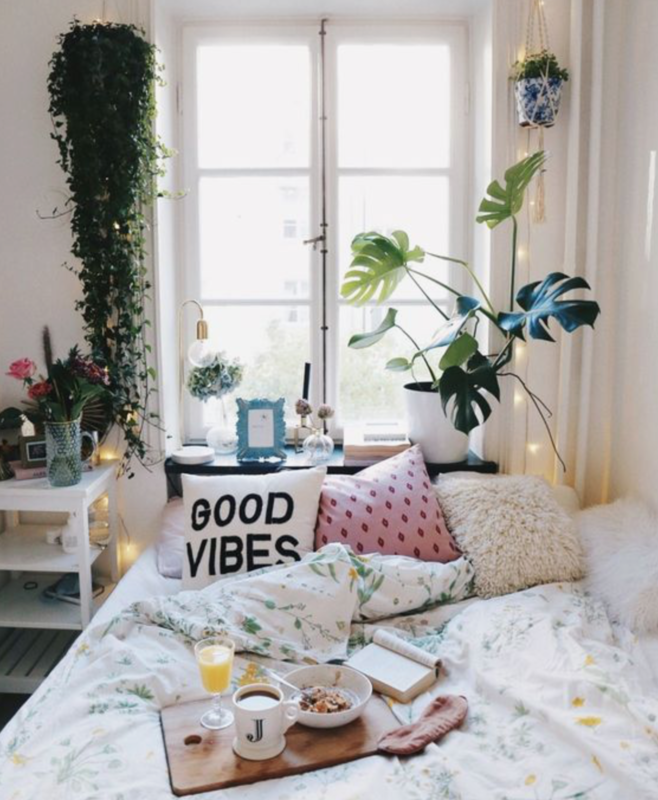 Later in the summer I’m moving into a new flat for third year and this time, I’m planning on my interiors journey being even better. This time round I’m going to be organised, have a plan and think about what I really want. 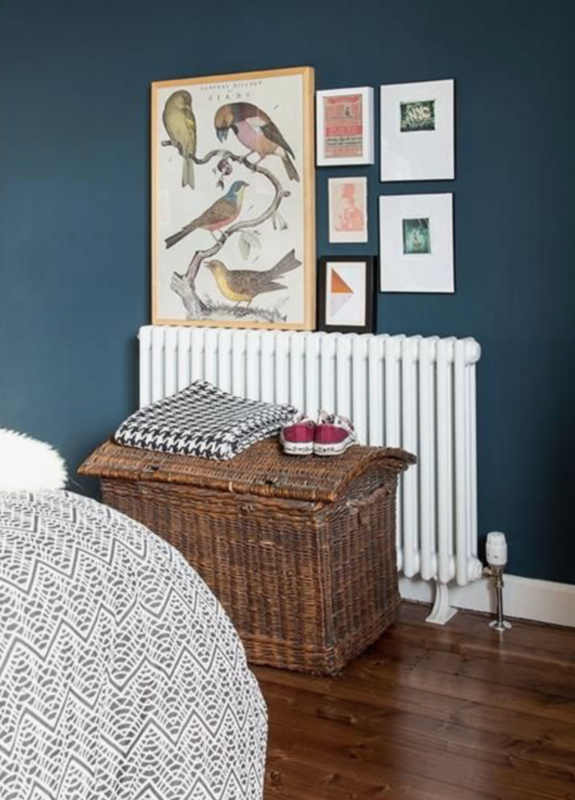 My Pinterest account features various interiors boards – all waiting patiently for the day I get a place of my own but during my student years, it is my bedroom board which gets visited the most. Blinds-Hut got in touch to ask if I wanted to be involved in their summer interiors trends campaign and as my flat lease begins in August, it seemed like a perfect time to start researching trends for my new room. After a lot of searching through Pinterest, I think I’ve decided that bringing the outside in is what works best for me. 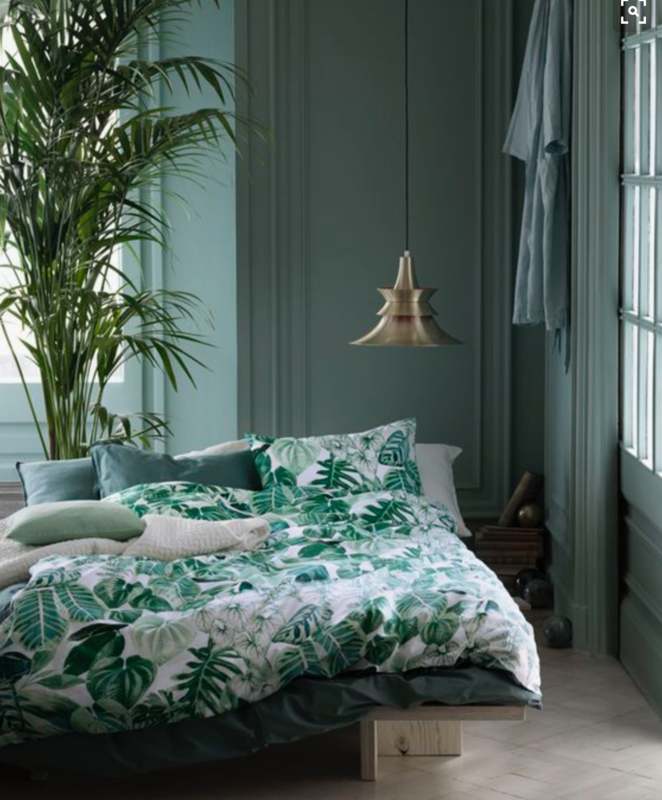 Green and natural prints can add a real sense of relaxation and freshness to a room – which is particularly helpful when you live in a student flat. 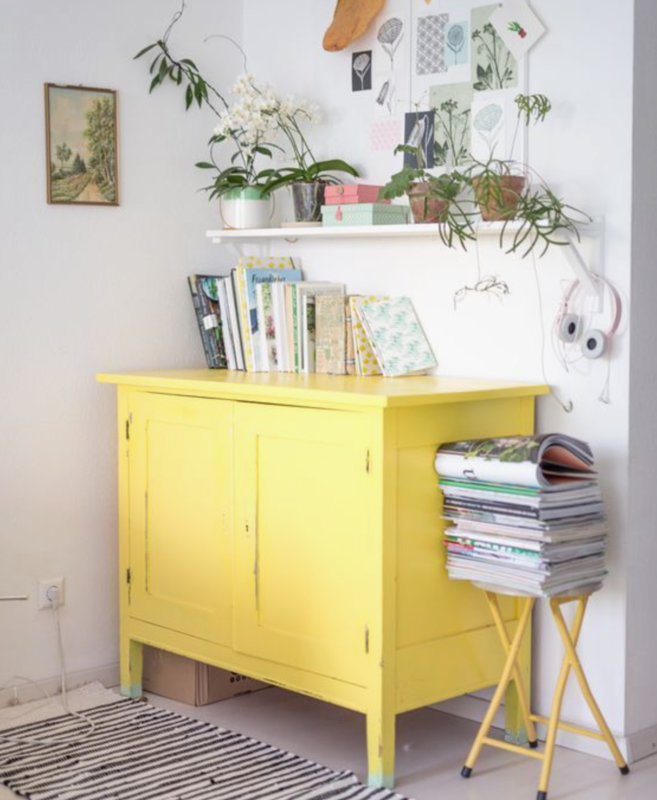 If you can paint the walls to help you do this, by all means, paint the damn walls but if like me, your landlord/parents won’t appreciate you sloshing paint around, there are other ways to spice up a room to bring the outside in. 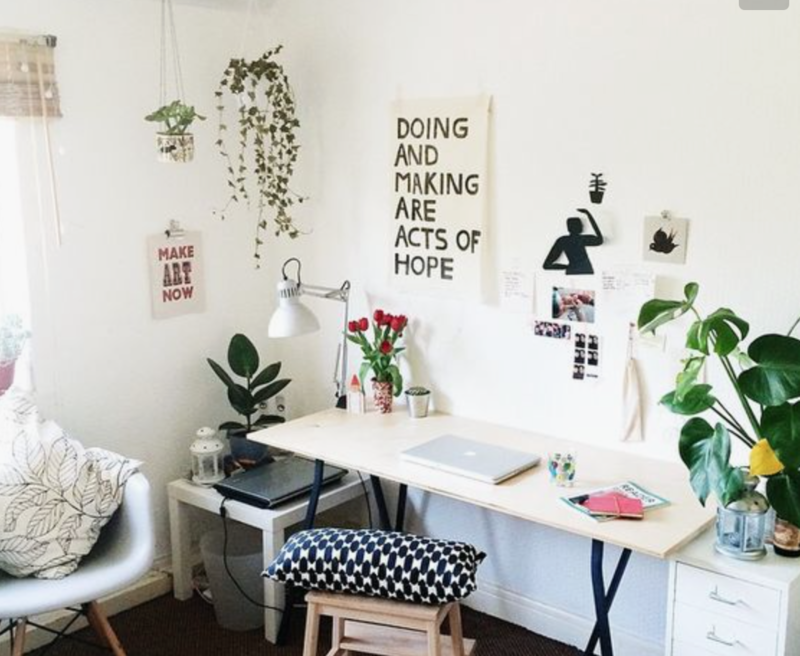 The most obvious way to bring the outside in: plants. When I say plants, I mean succulents and cacti as these are the only things I’m capable of keeping alive. But if you can keep alive a real plant, you do you and hopefully one day, that’ll be me! Cacti and succulents immediately add a natural feel to any room and as it is such an exploding trend, they are super easy to find. I personally bought most of mine at a local garden centre or IKEA but I have seen them in the likes of Urban Outfitters. It is also possible to buy them from online florists. Cacti and succulents add a little freshness to anywhere they are placed: on a bookshelf, bedside table, window sill and make the room so much less stale. Flowers work in a similar capacity. I love having fresh flowers in my room as they instantly freshen the place up and make the room look more homely and well, they’re pretty. 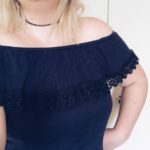 Tulips are my favourite but they are not really in season at the moment but a lot of blogger/interior faves are peonies and roses. I picked up a bunch of peonies from Sainsbury’s this morning for £5 which was pretty nifty. Plus pretty flowers equals pretty vases or funky Mason jars. Cushions are a go to when adding a little something something to any room. One of my friends has her bed adorned with cushions but I struggle finding cushions I really like. They can compliment any other furniture in a room by matching but also add a much softer touch. If you have a penchant for pink flowers, a pink cushion won’t go amiss on your bed or a chair. You can never have too many cushions in my opinion and I feel a couple of block colours with a statement printed cushion works best. I’ve got my eye on these velvet cushions from H&M as block colours and this green printed one from La Redoute. Prints are the ultimate at pulling together a room. They add a touch of personality or character to a room. I don’t own as many as I would like as I never get around to ordering any but one day I hope to add more to my collection. Etsy is brilliant for finding affordable and unique prints as there are so many wonderful independent sellers. 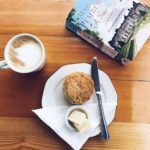 I did a little round-up post of ten Etsy prints I was coveting at the beginning of the year but when to fit in with my bringing the outside in theme, there are lots of floral/nature inspired prints out there too. Dorkface has so many which I think would work perfectly but this one and this one are my favourites. I suppose you could call these ornaments but adding little extra touches around a room always help bring it together. As flowers and plants can bring in real natural vibes to a room, ornaments can help to spread things out without it being an overload. Candles always work really well – especially if they are floral scented and you can get some pot designs. I have an adorable little gold pineapple from Primark which looks super cute wherever I place it in a room. Adding little snippets of glass also helps to brighten and freshen a room as it allows more focus on your brighter green textures, I have a little vintage jam pot which I use for holding earrings and crystal tray which looks beautiful with flowers on it. 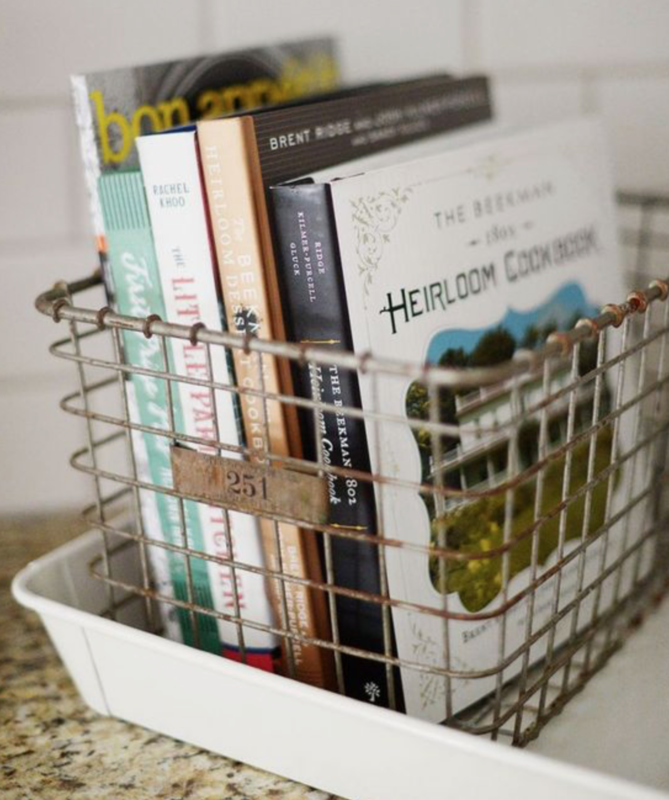 Cookbooks always look nice on display and “coffee table” books are often food themed which add a different texture to a room. I think storage baskets also add a great natural touch as I think they can represent bark and wood in your room. H&M has lots of lovely ones and I’ve seen a few floating around TK Maxx and Home Sense. This post was not sponsored but was produced in collaboration with Blinds-Hut.For further clarification, please read my full disclaimer here.